Phạm Lực was born as Phạm Văn Lực in 1943 in Huế, where his father worked for the imperial court. His mother was from Hà Tĩnh Province and great-granddaughter of the world famous poet Nguyễn Du, also from Hà Tĩnh Province. Two years after Lực was born, the August Revolution broke out and his mother took her three children to Hà Tĩnh, while his father remained in Huế. He grew up in poverty, his family shunned due to his father’s position. Lực fostered early artistic talent and drive, encouraged by his mother who would pose as a model for his paintings when he was seven years old. His experience of living along the Làm River in Hà Tĩnh Province and drawing the scenes he saw there, nurtured his artistic love of capturing women and working people, often honouring women by levitating them beyond their natural position in Vietnamese society. It is widely regarded that his respect for women stemmed from the love he had for his mother. Lực spent thirty-five years in the army reaching the rank of Major, fighting in North and South Vietnam, Laos and Cambodia, including at Thanh Hóa Bridge, Vĩnh Linh District in Quảng Trị Province, the Central Highlands and southern Laos. 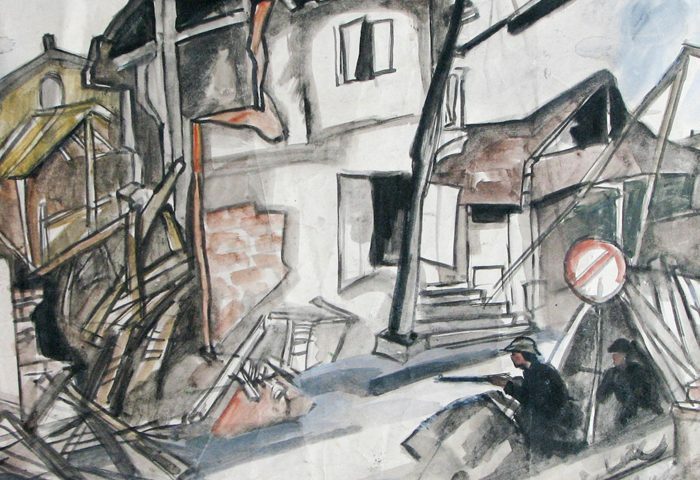 Lực always carried an artist’s kit in his rucksack to sketch and record his experiences. 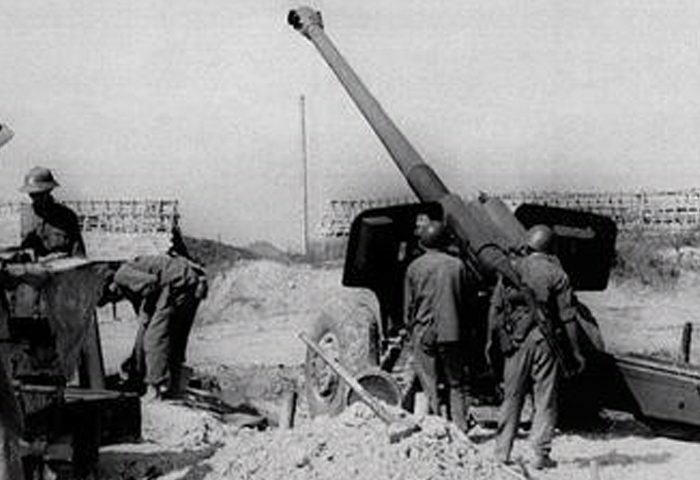 From 1959 to early 1966, Lực was based in the Trường Sơn mountains and then travelled from Military Zone 4 to Quảng Trị on a teaching and fact-finding tour. As a young soldier in the army, Lực painted on jute bags due to the lack of art materials in the country at the time; the same jute bags that carried rice, sugar, dried fish and salt to soldiers and civilians all over Vietnam. He often used pastel colours to paint as well as wall whitening powder and toothpaste for white highlights. When he could find it, Lực also made use of Chinese ink. His greatest motive was to capture the realism of what was around him instead of the heroic idealisation of soldiers. Lực continued to paint on jute bags using improvised materials until as late as 1975 and the liberation of Vietnam. On occasion, the Department of Propaganda summoned artists who worked on the battlefields for propaganda assignments. After being summoned, Lực drew Uncle Hồ with the Central Highlands. In 1973, Lực went to Saigon to improve the cultural knowledge of soldiers there, opening a painting class. 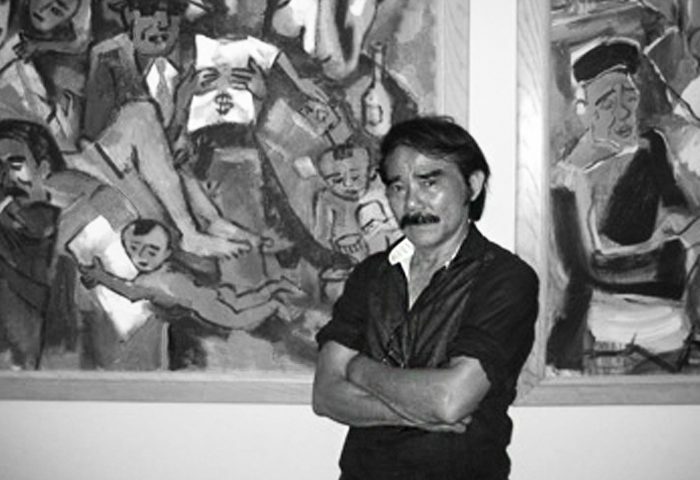 He graduated from the Vietnam Fine Arts College in 1977, where he solidified his painting techniques under masters like Bùi Xuân Phái. It was here that Lực began using a variety of materials including oil, lacquer, wood, silk, moisture resistant paper and silver and gold leaf in his paintings, some as a matter of convenience and others as a matter of style. Either way, a concentrated education and open economy finally allowed him to expand the range of his artistic expression. Possibly because of his own impoverished childhood, Lực began dedicating his time, effort and money as an artist to the poor, particularly children, even giving away some of his assets to charitable institutions. Lực also started free art training courses for war invalids, the disabled, the poor and foreigners in Hanoi. From 1994, he coordinated with a non-profit organisation in eastern France to aid the poor in Vietnam through art. They sold his paintings in Parisian art galleries to raise money, which was then sent back to Vietnam. In 2005, he donated two paintings worth $14,000 to support poor Vietnamese children. He also donates to Doctors Without Borders, Operation Smile, World Vision and disabled children. On 31 August 2010, Phạm Lực was invited by UNICEF to hold an exhibition Women and Children in Vietnam for their Report on the Situation of Children in Vietnam. Half of the funds raised went to the UNICEF cause. On 20 October 2004, Lực officially established the Phạm Lực Painting Club. On a poignant note, it was the same day as Vietnamese Women Day – reflecting his dedication to women and mothers in his paintings. Lực is a celebrated artist in Vietnam. From 24 May to 30 June 2010, he and Đinh Công Khải collaborated for the exhibition A Time to Remember in Hanoi. It was featured as a highlight event on the VTV4 Arts and Entertainment channel. In 2013, a solo exhibition of his work was held at the Vietnam Fine Arts Museum to mark his 70th birthday. Phạm Lực lives in Hanoi. Phạm Lực, 1979, Đồng Đăng town in Cao Lộc District, Lạng Sơn Province. Watercolour on machine-made paper. Pham Luc biography taken from independent archival research. The story of painter Phạm Lực, www.phamluc.vn. Phạm Lực, compilation DVD with Phạm Lực, interviews and documentaries from archives. Hạ Đình Nguyên, Phạm Lực – the painter has a strange fate, Culture & Youth, Thanh Niên Newspaper, 27 October 2011. Pham Luc (Vietnamese, 1943) – MutualArt.